This recipe I have taken from nigella.com.. The fudge looks absolutely stunning.I have no words to decribe how tempting it looks.The chocolate and pistachio combination is my favorite. 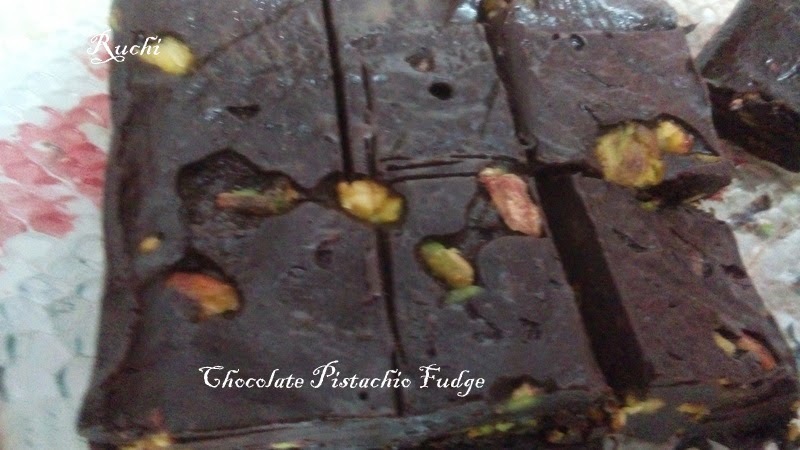 The pistachios looked so beautiful against the chocolate fudge. This fudge is worth making...for its ease, express speed & taste. 1. Melt the chopped chocolate, condensed milk, butter, and salt in a heavy based pan on a low heat. 4. 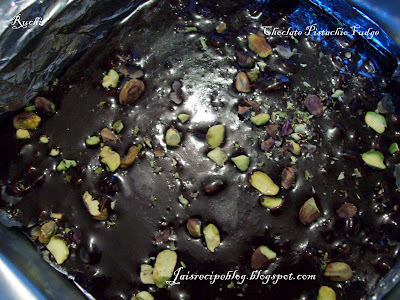 Pour this mixture into a 9-inch square foil tray, smoothing the top. 5. Let the fudge cool and then refrigerate until set. Cut the fudge into small pieces with a sharp, buttered knife. You may need to wipe the knife clean after each cut. Great fudge looks delicious !